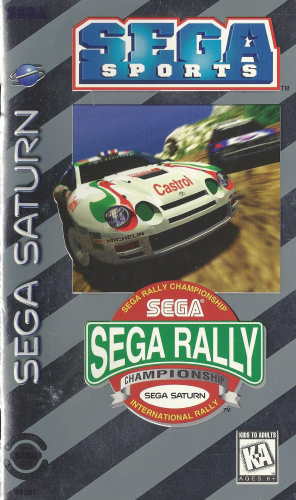 Get down and dirty with SEGA RALLY CHAMPIONSHIP. Choose one of four cars that have been modified to handle the bumps and obstacles of off-road racing. Once you have a vehicle, take on four courses where you’ll power through turns, skid on loose dirt, barrel across mud, and launch into the air. Have a friend join the action with the two-player option. All of the driving excitement is enhanced by CD quality sound. 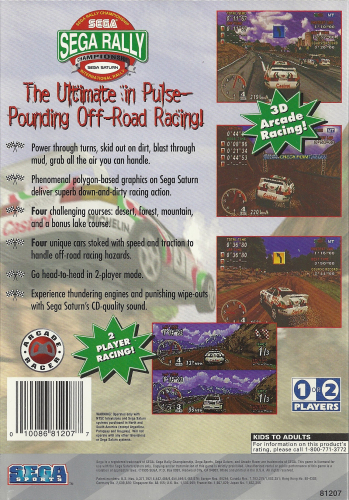 And you don’t even have to worry about washing off the dirt with SEGA RALLY CHAMPIONSHIP.